And it makes me cringe. Because it makes me feel sad that so many of us are attaching our eating behaviors and our food choices to our self-worth. How can one possibly have a healthy relationship with food when eating a cookie makes them feel like they were “bad”? 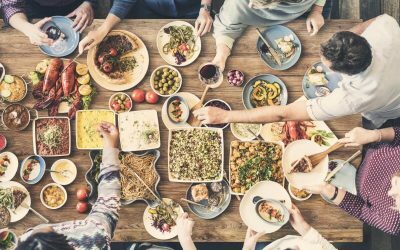 The mentality behind the words we choose to describe what we eat drives our relationship with food. 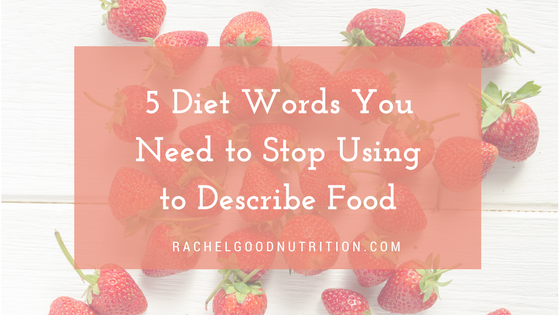 Which is why these 5 cringe-worthy diet words need be removed from our vocabulary, so space can be made for a balanced way of life that allows all foods without judgment. 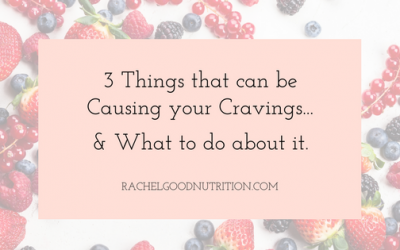 Feeling guilt with food leads to restriction which drives the vicious dieting cycle. You should never have to feel guilty about enjoying food, we are naturally driven to eat foods we like because we are human. Saying that you “cheated” also pins a negative self-image of yourself. And “allowing” yourself a “cheat” or “cheat day” highlights restriction and the deprivation state that you are in. 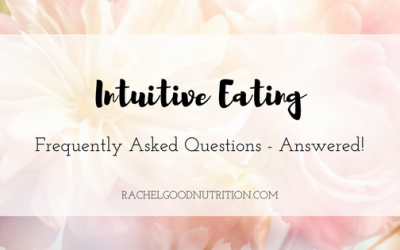 While choosing foods made with wholesome ingredients is something I promote, I feel the term “clean-eating” has become judgmental in its tone and can lead to disordered eating, which is why I avoid using this term. I can’t keep track of how many times I will hear clients say that they have been “bad” or “good” based on the food choices they made. Or ask if a certain food product is “good” or “bad” and if they are allowed to have it. 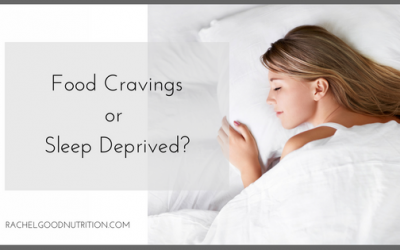 ‘“By classifying our foods as ‘good’ or ‘bad’ we are allowing them to classify us.” says Bethany Frazier, MS RDN LD “Of course, there are foods that are better for us, but eating a “bad” food choice every once in awhile still provides your body with fuel, and eating only “good” foods doesn’t make us perfect, it makes us obsessed”. Our society’s standard of thinness is not attainable for everyone, we all have different body types and genetics. Creating an expectation that everyone can be skinny if they just work hard enough isn’t only untrue and unfair, it’s unhealthy. Elizabeth Ward, MS RD says “It really bothers me that skinny is used as an aspirational term, because going for “skinny” can be detrimental to a healthy body image. In addition, being waif-like in appearance doesn’t automatically guarantee good health”. The words you choose to describe your foods can set the stage for the relationship you have with food. These terms that are so overly used – terms that the dieting industry loves – fuels the dieting flame, and with it a destructive and negative eating behavior and mindset. One that discreetly sends the message that if you eat and enjoy foods that are not “clean” you should feel “guilty” and “bad” about yourself. They make you feel wrong for being human and wanting to actually enjoy a slice of cake, god forbid. Today, make the decision to reject these words and stop using them. Instead, embrace all the foods that make you feel good. Sometimes that will be a salad, other times it will be a slice of cake. You deserve to enjoy both without judgment, guilt, or bad feelings. If you are ready to ditch the diet you can schedule your FREE mini consultation today! What are you struggling with right now? 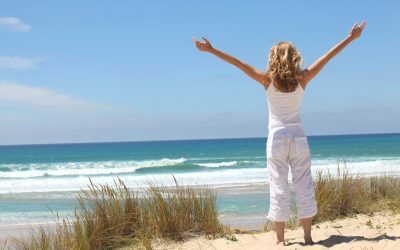 What is keeping you from living your healthiest and happiest life? Schedule your 15 minute consultation and let’s talk about your health and nutrition needs & goals and how I can help you reach them.